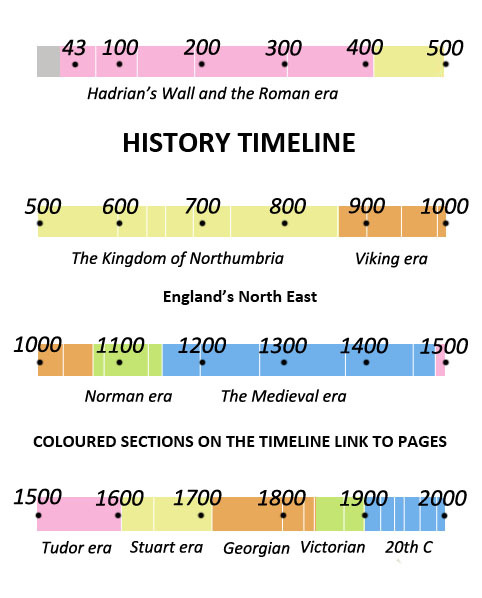 Hadrian's Wall events 122AD to 180AD. Hadrian's Wall was constructed in 122AD. It was 80 miles long, six metres high, three metres wide and built of stone. Its defences were supplemented by turrets, ditches, milecastles and 16 forts each holding 500 to 1,000 men. Those men were sometimes recruited locally, but came from all parts of the Roman Empire including Spain, Switzerland, Germania, and even North Africa. 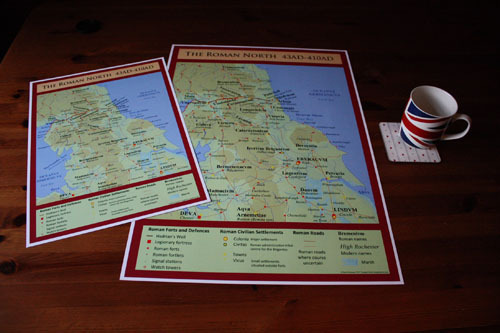 Hadrian, Emperor of Rome, has visited northern Britain after increasing concern over tribal revolts. He has ordered the construction of a great defensive wall to separate the Romans from the Barbarians. 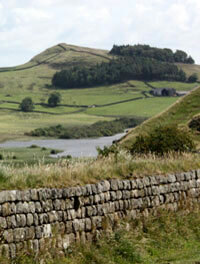 Most of Hadrians Wall has been constructed. Many of the early forts along the wall face south into Brigantian territory, a recognition of the great threat that still exists from this large northern tribe. Arbeia, a Roman fort, has been built at South Shields. It will serve as a sea port and supply base for Hadrians Wall. Emperor Antonius Pius has ordered the construction of a new defensive wall in North Britain, Antonine Wall, to stretch from the Forth to the River Clyde. Hadrian's Wall still remains in use but has become more open. A major uprising by the Brigantes against the Romans has forced the abandonment of the Antonine Wall. The Brigantian rebellion is centred on their new tribal capital at Aldborough near Boroughbridge. Romans have once again advanced north and re-established control of the Antonine Wall. A new Roman fort is being built at Chester-le-Street where a Roman road runs north to the bridge over the River Tyne at Pons Aelius (Newcastle). 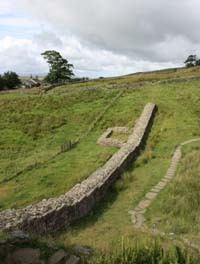 Hadrian's Wall has been extensively restored following recent tribal unrest. The Antonine Wall has been abandoned again following tribal unrest and the death of the Emperor Antonius. 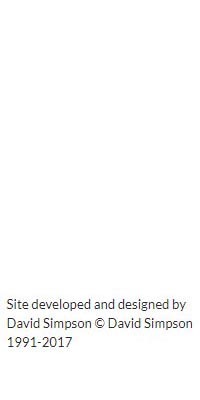 The recent restoration of Hadrian's Wall appears wise. A Roman General has been killed after tribes crossed the wall in yet another revolt. The civilian settlement at York is growing rapidly to the south west of the River Ouse.